Texas caviar is a dish that was first made in Texas and served at the Houston Country Club around 1940. The name was given ironically due to the expensive nature of caviar and the humble nature of black-eyed peas. Texas caviar is usually made with black-eyed peas but since I didn’t have those I went with black beans. Other ingredients include chopped tomatoes, carrots, celery, green onions, bell pepper, and jalapeño. Corn, onions, cilantro, and garlic are also included. The dressing includes oil, vinegar, lime juice, Tabasco, chili powder, and cumin. Mix it all together and add salt to taste. The longer it sits around the better it is. I like to eat it at room temperature. 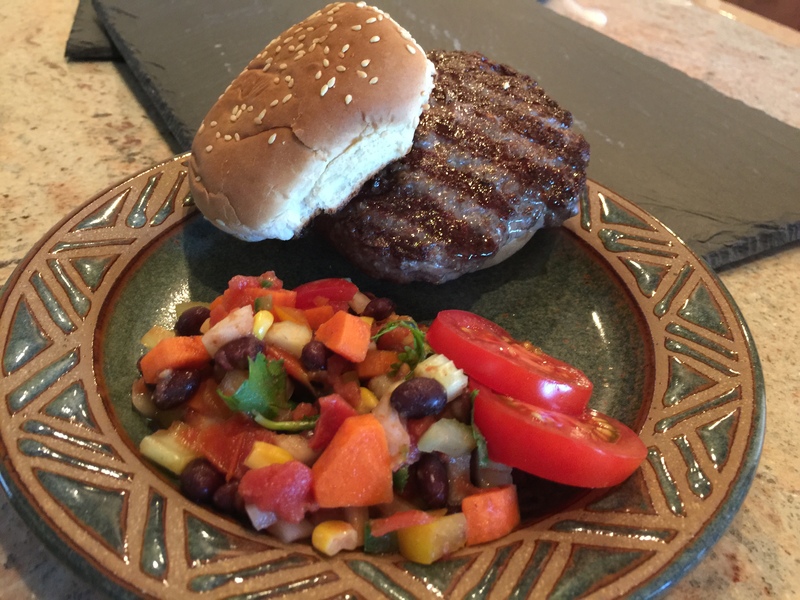 This entry was posted in Beef, Legumes, Vegan, Vegetables, Vegetarian and tagged bell pepper, black beans, carrots, Celery, corn, garlic, Hamburger, Onions, Vegetables. Bookmark the permalink.